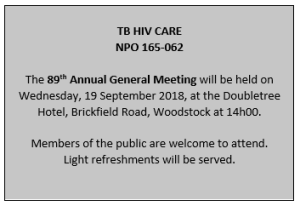 TB HIV Care’s AGM takes place on Wednesday, 19 September at 2pm. Members of the public are welcome to attend. TB HIV Care has been appointed to act as the secretariat for the South African TB Caucus. 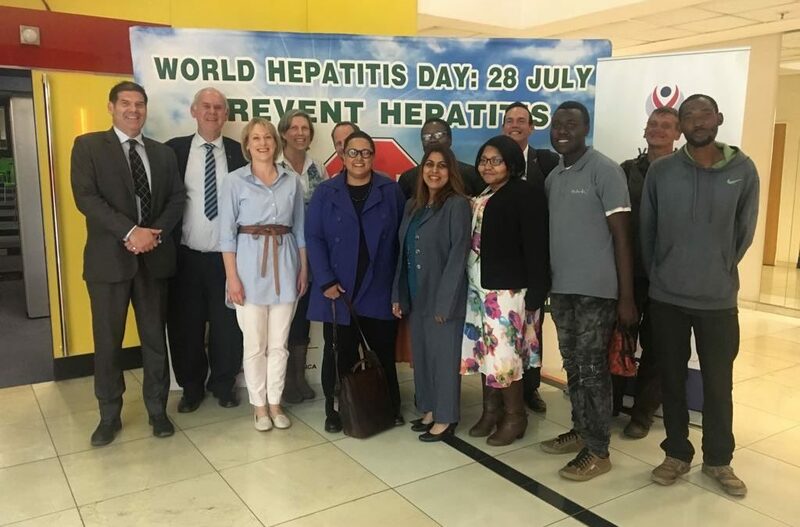 The SA TB Caucus, officially launched on Tuesday, 04 September, is the local chapter of the Global TB Caucus, which consists of over 2 300 parliamentarians from 130 countries around the world. 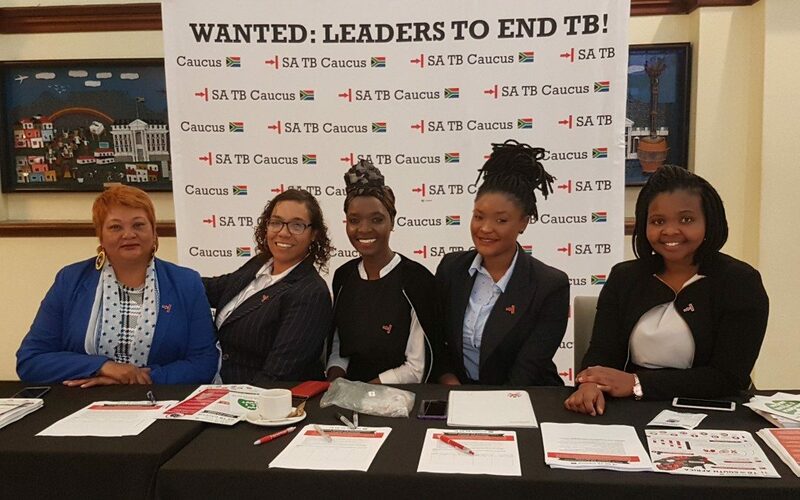 TB HIV Care was at Parliament on Tuesday where both houses, the National Assembly and the National Council of Provinces, resolved to establish the SA TB Caucus. Once MPs left the chamber they were asked to sign a pledge – publicly declaring their commitment to ending TB in South Africa. The official launch took place later that night at the Westin Hotel in Cape Town. It was a special evening which brought together TB survivors, ambassadors and TB champions from all walks of life. Miss South Africa, Tamaryn Green, and the Deputy Speaker of the National Assembly, Mr L Tsenoli, MP, both shared their own personal experiences with TB – as did programme director of the event, media personality Gerry Elsdon. The event hoped to ‘break the stigma’ often associated with TB, by bringing together a number of celebrity TB ambassadors (many of whom have also been affected by the disease). These included Prince Nhlanganiso Zulu, Lira, Kelly Khumalo, Thabo Pelesane, Zolelwa Sifumba, Basetsana Kumalo and Yvonne Chaka Chaka. The event was hosted by Dr Aaron Motsoaledi (Minister of Health) together with Ms Baleka Mbete (Speaker of the National Assembly) and Ms Thandi Modise (Chairperson of the National Council of Provinces), who have agreed to act as patrons of the SA TB Caucus and signed the declaration on stage at the close of the evening. The SA TB Caucus will be well represented at the UN High Level Meeting in New York on 26 September 2018. Now the hard work begins.